Tysons Biergarten is getting a dance party makeover and you’re all invited. Join us in our American Underground basement bar for our first Flash Mob Friday, 10pm on April 20th! RSVP on Facebook here. Every hour on the hour the DJ will play a song that everyone can drop everything and dance to: Cupid Shuffle, Wobble Wobble, Watch Me Whip and more! It’s like high school homecoming, but without the awkwardness and the embarrassment of asking Mark to dance with you but he said he didn’t want to dance at all but then LATER you saw him dancing with JANE, so thanks a LOT Mark. 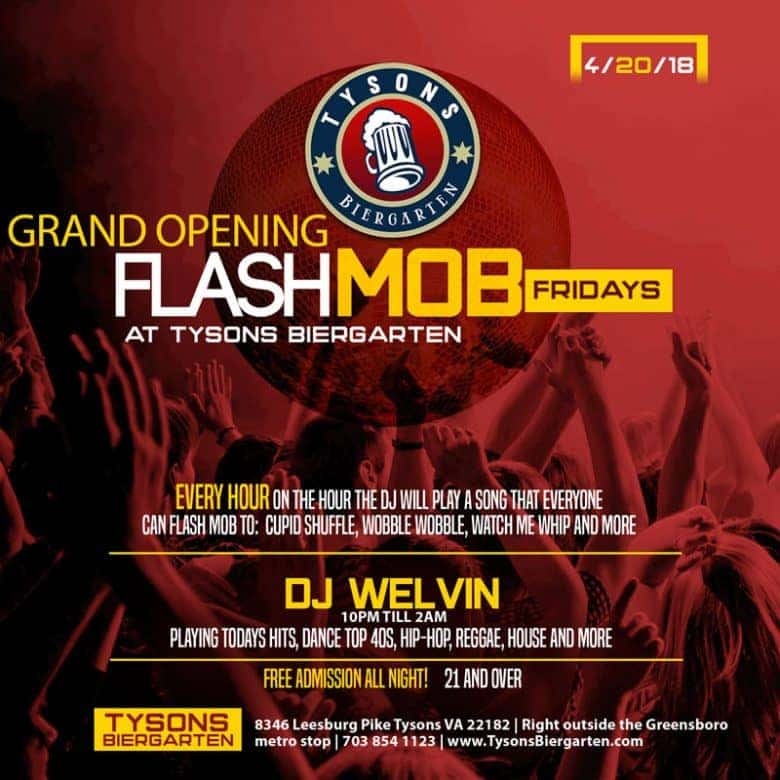 The party goes from 10pm-2am, with DJ Welvin playing today’s hits, dance top 40s, Hip-hop, Reggae, house, and more! « Support Habitat NOVA at TBG!